Viknesh Vijayenthiran April 9, 2019 Comment Now! 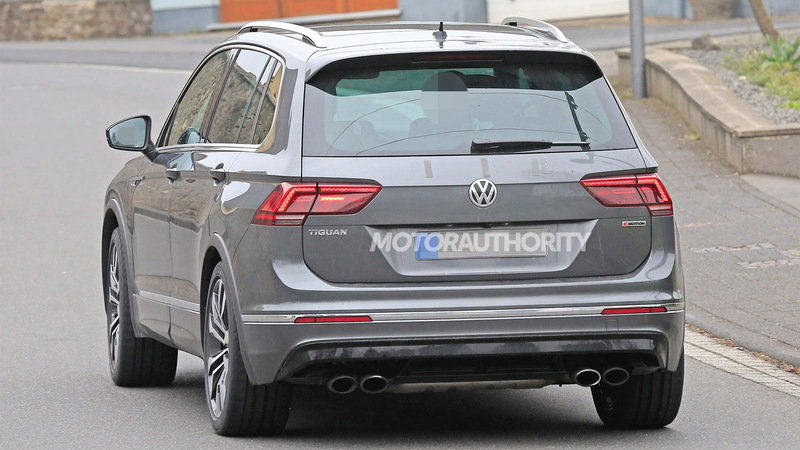 The Volkswagen R performance division looks to be readying a new addition to its lineup based on the Tiguan small SUV. 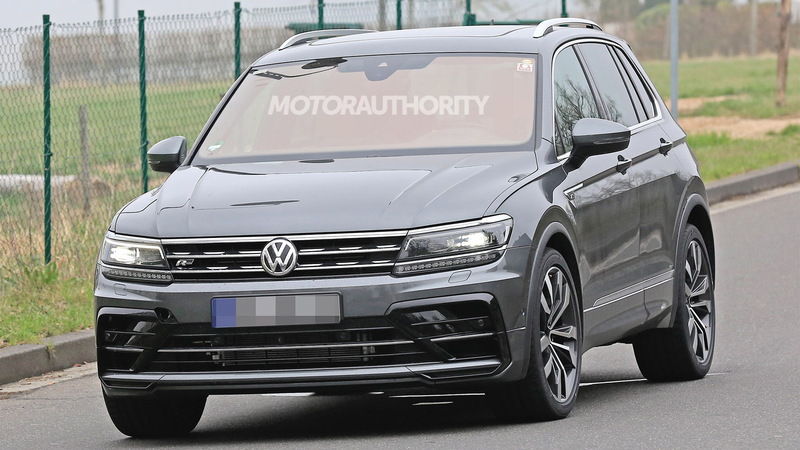 A test mule for a potential Tiguan R has been spotted in Germany, suggesting that VW's go-fast division will soon launch another SUV. The division only February launched the T-Roc R in the compact segment. 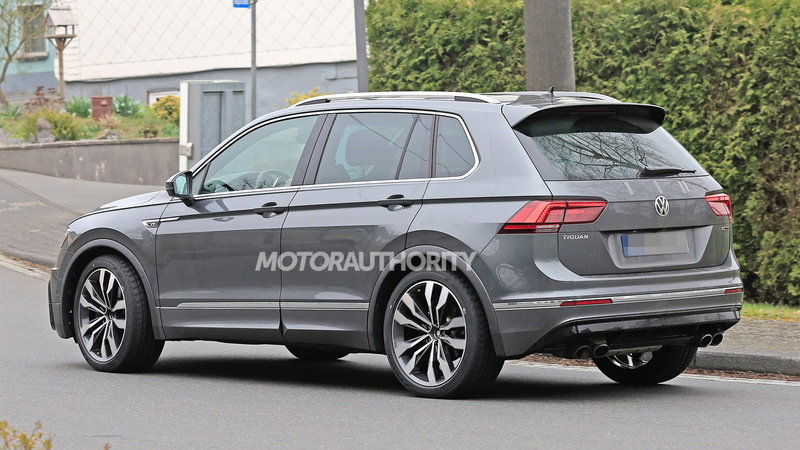 The test mule looks like a regular Tiguan equipped with the SUV's available R-Line sport appearance package. However, a closer inspection reveals a set of quad-exhaust tips with the same design as the exhausts on the T-Roc R and Golf R. This suggests the same 2.0-liter turbocharged inline-4 powering those other models is featured in this test mule. The engine delivers 296 horsepower and 295 pound-feet of torque and is normally mated to a 7-speed dual-clutch transmission and all-wheel-drive system. We suspect a similar setup sits in the test mule. Eventually, we should see prototypes sporting chassis upgrades like bigger brakes and lowered suspension. 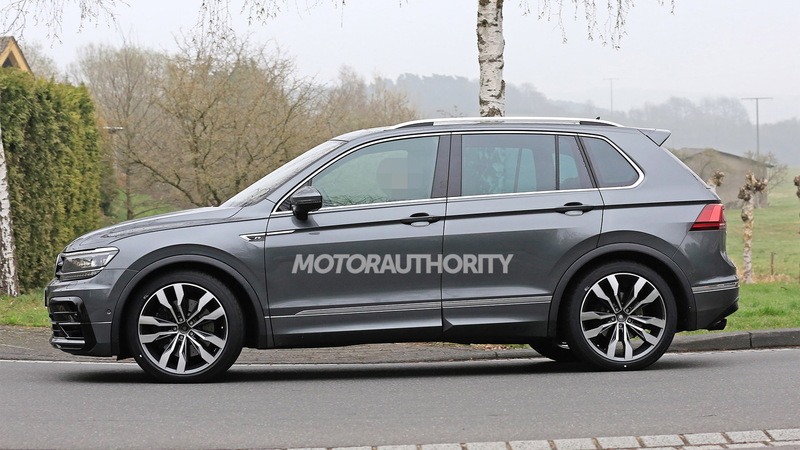 The prototypes should also wear more aggressive front and rear fascias with a design similar to what we see on the T-Roc R.
Look for the Tiguan R to make its debut in late 2020 or early the following year. 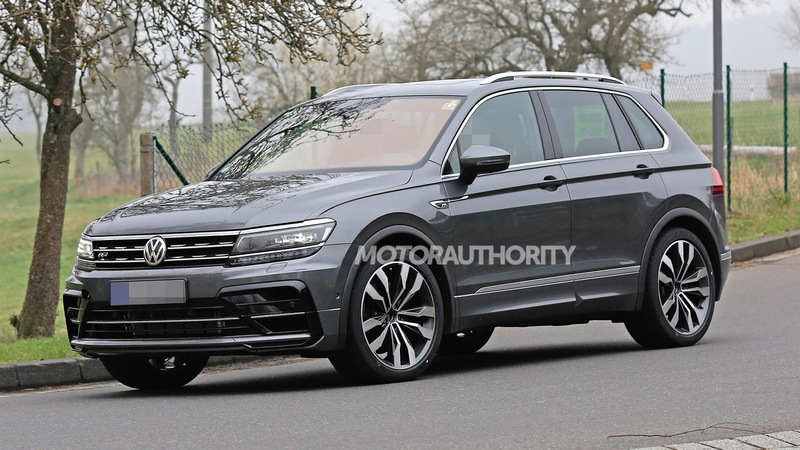 Before you get too excited, we should point out that the test mule is based on the short-wheelbase Tiguan sold overseas, meaning we likely won't see the Tiguan R here. We also miss out on the T-Roc R since the regular T-Roc isn't sold here either. As some solace, we could see a 400-horsepower Golf R at some point in the near future.